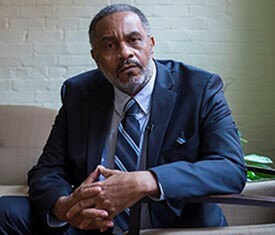 Anthony Ray Hinton, who spent 30 years on death row after being wrongfully convicted, will speak at Furman on February 27th from 7:00 – 8:30 pm. In preparation for his arrival, The Furman Prison Education Partnership (FPEP) will lead a reading group discussion on his memoir, The Sun Does Shine: How I Found Life and Freedom on Death Row on February 25th from 3-5 in Furman Hall 101 (English Department Lounge). All who are interested in discussing his memoir, as well as the larger issues of mass incarceration that surround it, are invited to read and attend the discussion. Light refreshments will be served. FPEP will have a limited number of copies of The Sun Does Shine to borrow. Please contact Laura Morris (laura.morris@furman.edu) if you’d like to borrow one. Anthony Ray Hinton spent thirty years on death row for a crime he did not commit. Wrongly convicted in the state of Alabama for two capital murders with erroneous evidence and inadequate representation, Hinton was eventually exonerated after more than a decade of litigation by the Equal Justice Initiative (EJI). Hinton now travels across the world speaking about his experience and serves as the EJI’s community educator. Most recently Hinton has authored a memoir, The Sun Does Shine: How I Found Life and Freedom on Death Row. Ray Hinton is the 152nd person exonerated from death row since 1983. According to a review of nearly 2,000 exonerations nationwide over three decades, people of color convicted of murder or sexual assault are significantly more likely than their white counterparts to be later found innocent. Released in 2017 by the National Registry of Exonerations, the review also found that innocent people of color also had to wait disproportionately longer for their names to be cleared than whites. This event is sponsored by the Riley Institute’s Advance Team, Furman’s NAACP, Religious Council, Poverty Awareness Committee, and Student Diversity Council and St. Joseph’s Catholic School.